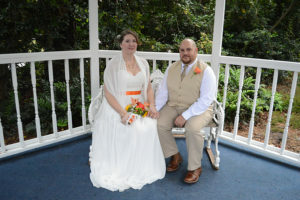 Daniel Ruiz & Caitlin Lovett were united in marriage on Saturday, November 24, 2018 in the Gazebo at Wedding Chapel by the Sea. The Rev. Pam Muise officiated. The happy couple will reside in Roanoke, Virginia. Please join us in wishing Daniel & Caitlin a long, happy life together.